Have you learned just what your Jesus thing is? The word “thing” is over-used in our language today and has lost its meaning. But Jesus talked about things all the time and it meant something specific. When Jesus used the word “thing” it represented one of three issues. 1. “logos” – Things sometimes translate as God’s “written word or account”. On one occasion Jesus was telling the religious leaders…”I will reveal to you My things (words) if you show Me yours first.” (my paraphrase) Matthew 21:24 Note to self…Never get into a word or revelational match with Jesus. His things are bigger and better than my things. 2. “rhema” – Things sometimes are translated as God’s “spoken or revealed word” to us personally. Mary, Jesus’ mother, discovered the power of a thing when Gabriel said to her…”For nothing will be impossible with God.” (Luke 1:37) Just think… there’s never been a revelatory word and there never will be a word impossible for the Lord to perform in our life. If God speaks to you, then He will perform it. Wow! 3. “pragma” – Things are sometimes translated as the Lord’s “business matters or work.” Our English word pragmatic comes from this word. Listen how Jesus used it in Matthew 18:19. “Again I say to you, that if two of you agree on earth about anything that they may ask, it shall be done for them by My Father who is in heaven.” What a promise. Jesus promises to bring to pass any practical business matter which two believers agree should be performed. Anything is not everything. Anything is only God’s business. Why I am talking about this today? Because in the last few blogs, I have been sharing about the necessity and importance of having the Holy Spirit in our lives. One of the jobs of the Holy Spirit is to glorify Jesus. The Spirit does this by taking those “things” of Jesus and disclosing it to you and me. Listen to these words in John. Here in verse 15 the “things” of the Father and the Son are “pragma“. So, it is the Holy Spirit’s job to reveal to us the very practical business matters of the Kingdom. Numerous times in the Gospels, Jesus alluded to the fact that all He has at His disposal is available for His followers. 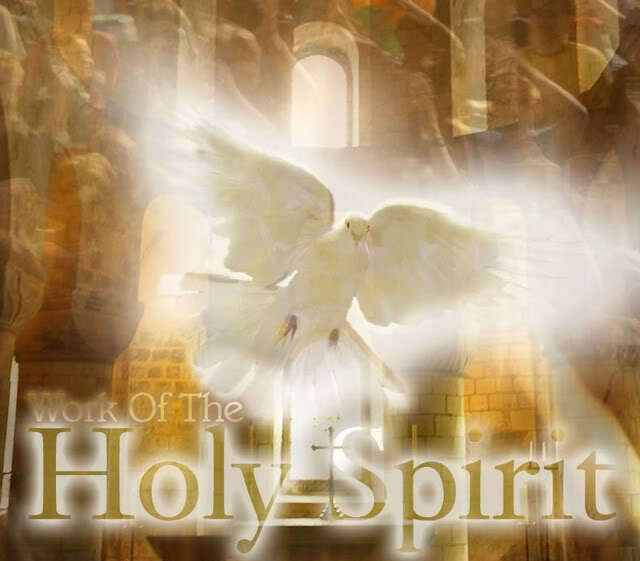 The Holy Spirit is the vehicle the Lord uses to give us Jesus’ knowledge, power, and authority. We should be expecting this process to happen throughout our walk with the Lord. The point is the Lord never intended for any of us to fight the good fight alone. Jesus knew in the beginning we would need a Partner, Helper, and Companion. The Holy Spirit is our Battle Partner who covers our blind side and helps in our struggle to bring to pass the Lord’s business. None of us will be able to accomplish the Lord’s will without the Holy Spirit’s help. Take some time today and ask the Lord to help you understand more fully the Holy Spirit’s role in your life. There are some “things” there you need to know.